Ready to rethink Lot Management from the ground up? CalAmp Automotive is doing just that, with industry-first technology that will revolutionize Lot Management, making life easier for every lot manager and salesperson. 1. Specialized scripts and firmware in the device tailored to Lot Management and vehicle/battery maintenance. 2. Text and E-Mail alerts on-demand for every test drive, every return, and every exception, with heightened responses for vehicles off the lot. 3. Utilization reports letting a Lot or Flooring Manager know which vehicles have moved, which are off the lot, and for how long. How many vehicles are off the lot right now? Which vehicles were driven often in the last few days, and which not at all? Which vehicles have a low battery? 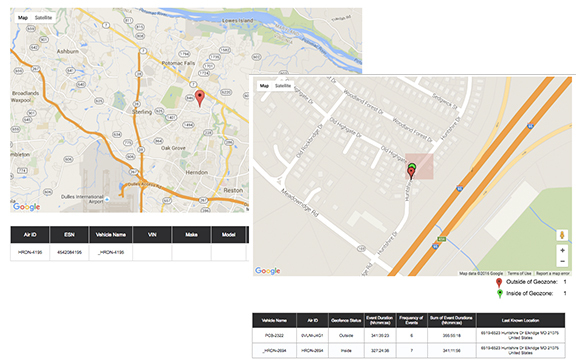 Coupled with CalAmp’s Location Validation, users can even figure out where these vehicles go when they’re not on the lot! 1. Key-management systems. You heard that right. A set of keys on hooks are used as proxies for vehicle management on the lot. 2. Humans. When it’s really got to be right, a flooring company or manager sends out a human to do a visual audit at a high cost. 3. Wired GPS devices. Vendors that provide a GPS-based solution attempt to lock the lot in to wired devices, pre-installed on every vehicle. 4. Plug-ins that connect to a mobile app. No GPS keeps cost down, but with limited functionality. CalAmp Automotive’s Lot Management combines the flexibility and ease of use of the simple key hook approach with the advanced tools of a 32-bit OBD plug-in GPS device, but without the lock-in. Above all, CalAmp’s Lot Management is build around enterprise-grade CalAmp technology, the best in the industry by far. The CVF-3030 was designed at CalAmp’s U.S.-based facilities, and assembled in the U.S. 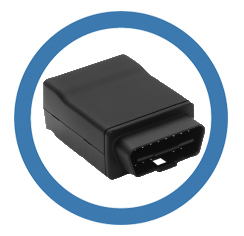 It offers a 32-bit OBD plug-in, with a built-in high-resolution 3-axis accelerometer. It is, by far, the most advanced device available for Lot Management by any GPS vendor. How does that help? It means the device is equipped to do far more than Lot Management. It can make life easier with AutoPop, and be forward-ready with embedded Crash Detection and DTC code extraction. No other solution comes close. 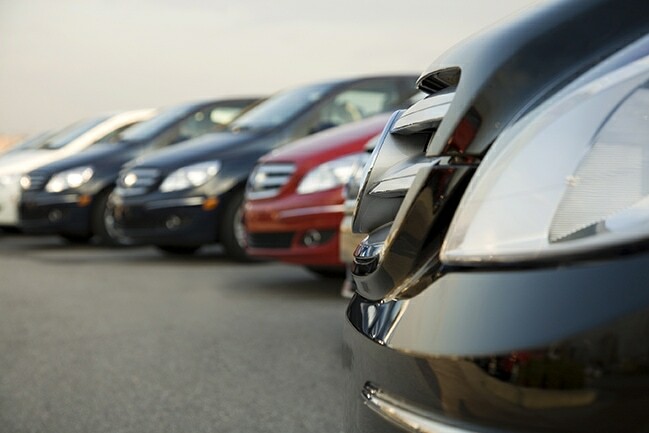 CalAmp Automotive is poised to offer a comprehensive suite of telematics-enabled benefits across the vehicle lifecycle, from lot to financing to driver. We believe the right device, tightly coupled to a robust platform and application, with over-the-air upgrades and device management, are the right answer for the market. We’re committed to offering the best value in the market, with devices that can help you save time and make more money. About the Author: Dev Bhatia is CalAmp’s senior director of product management, automotive. A proven leader in IoT, mobile, and web-based business, he was most recently acting CMO at Spireon, a business intelligence platform for telematics. Bhatia has been a start-up and growth-stage executive at several cutting-edge technology companies, including one that was bought by Yahoo! and one that went public. In 2013, Bhatia was honored as one of the inaugural socalTech 50, recognizing fifty up-and-coming Southern California executives.